My own design. 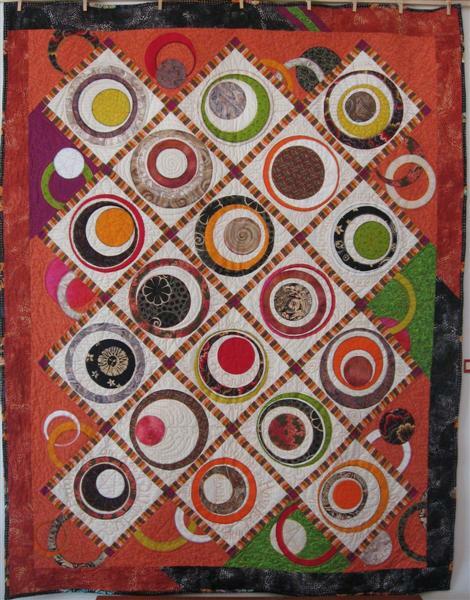 Words of several songs about circles are quilted around the circles. I got dizzy quilting. Approx. 48" by 65"